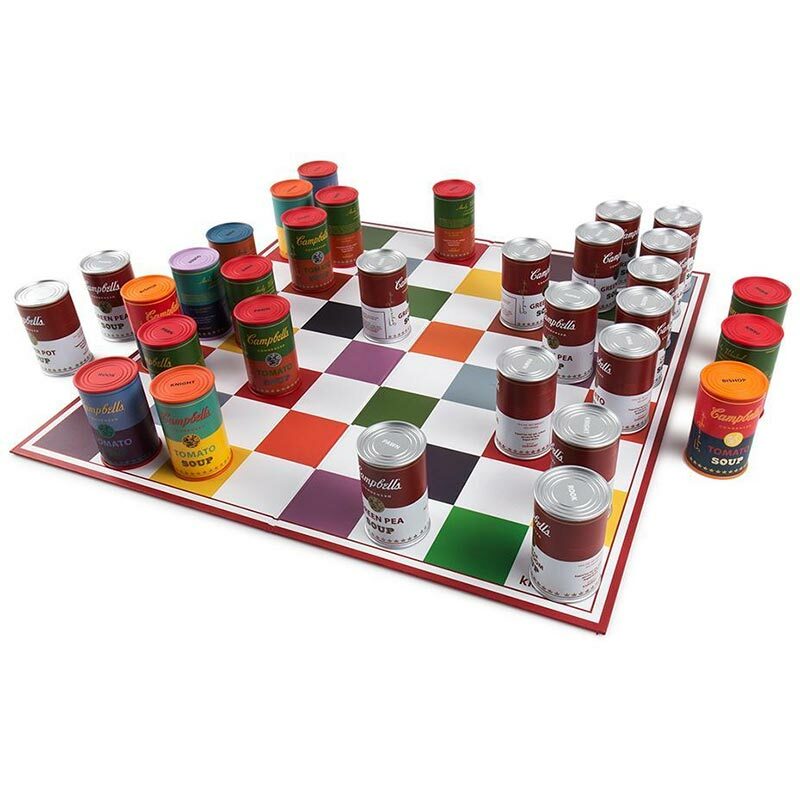 If you’re a fan of pop art, or just love Campbell’s soup, you need this Andy Warhol Soup Can Chess Set. 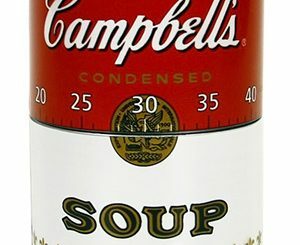 It’s amazing that a painting of a can of Campbell’s Soup could be worth millions of dollars, and even more incredible that all kinds of “Andy Warhol” products are still being produced that feature Campbell’s soup cans. 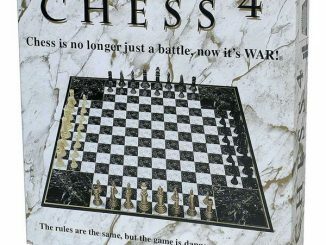 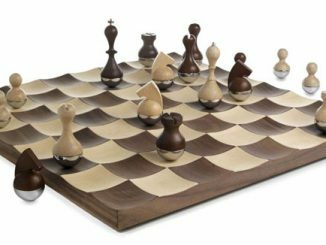 Yet there is something very chic and comforting about the design, even as it makes one question “what is art?” This chess set definitely stands out, even as it uses such a common mass produced product as the pieces. 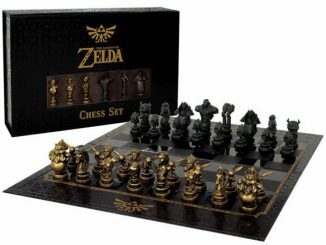 Each chess piece in this set is represented by a different kind of Campbell’s Soup. 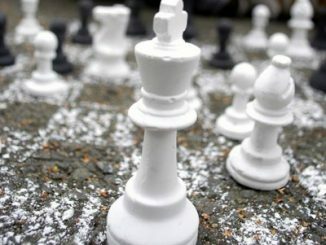 It’s not too surprising that Tomato Soup is the King and Chicken Noodle is the Queen. 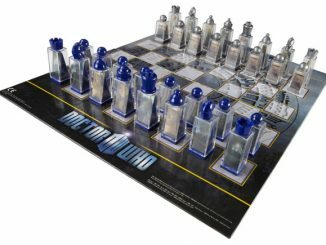 Luckily, you don’t have to remember which type of soup corresponds to which chessman, because there is a label on the top of each can. 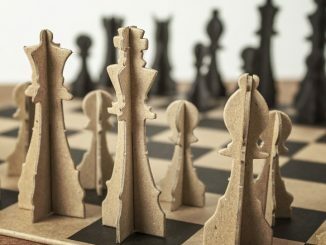 They measure 3″ tall, so not that much smaller than a real can of Campbells condensed soup. 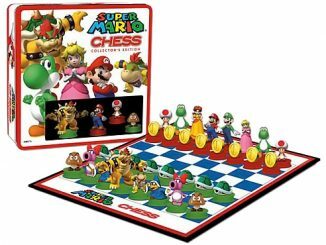 Kidrobot and The Andy Warhol Foundation have teamed up to create an iconic look at an iconic game with the collectible Andy Warhol Campbell’s Soup Can Chess Set. 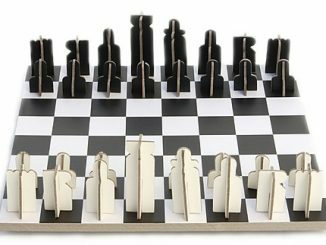 This chess set features Andy Warhol’s iconic Campbell’s Soup Cans as chess pieces on a pop of color chess board complete with felt accents. 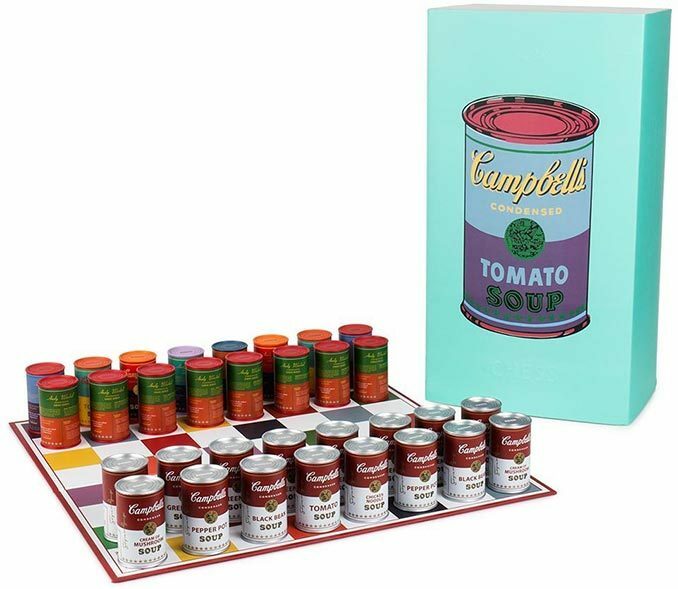 Each vinyl 3-inch Campbells soup can is labeled and printed on top with its corresponding piece to bring a pop art look to any game room. 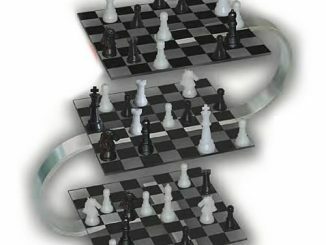 Get this collectible and interactive art piece today. 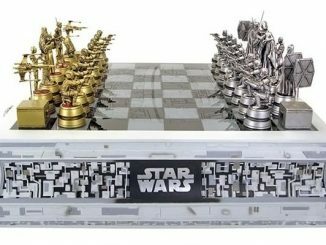 The Andy Warhol Soup Can Chess Set costs $500 at Kidrobot. 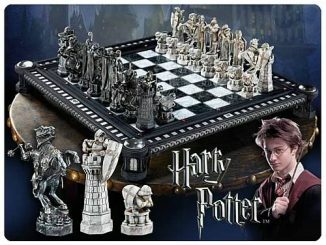 It is also available at Entertainment Earth, Amazon, and the Guggenheim Store.